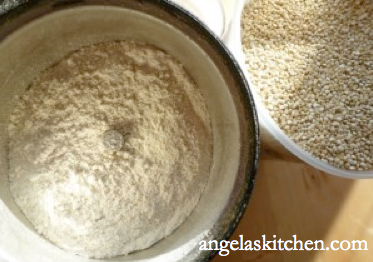 Join me at Once a Month Mom for a discussion on gluten free whole grains and see my simple inexpensive trick to grind gluten free grains at home. When we went gluten free almost eleven years ago, we were eating a diet that consisted of eating all whole foods and whole grains, making as much as I could from scratch to feed my family. 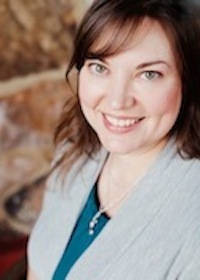 The few products we could find that were gluten free did not encourage someone who had been very committed to feeding whole grains to her family. They were filled with starchy fillers, with no fiber, or whole grains anywhere – not to mention the lack of good flavor! If you wanted to try to make homemade whole grain based foods, good luck finding any gluten free whole grain flours beyond brown rice flour! 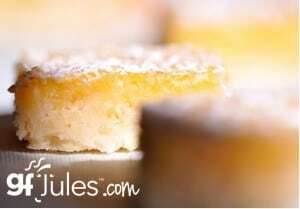 Eleven years later, things sure have changed with all kinds of seed, legume, nut and gluten free whole grain fours all offered within a short distance from my home. However, back in the early days of us being gluten free, I started a simple trick to grind my own whole grain flours at home without a grain mill that I still chose to do to save me convenience, money, and to keep a continuous supply of freshly ground whole grain gluten free flours at my finger tips. 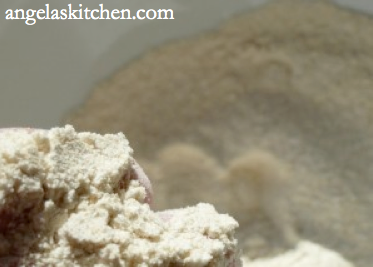 Sometimes a recipe will only call for a small amount of a specially grain flour, such as teff. That would be very expensive for me to pick up, but as I already keep teff grain in house, I can easily grind up the amount of teff flour I need right at home. Many of the gluten free grains can be purchased in my area for a much less expensive price as the whole grain than as the flour. While still more expensive than wheat flours, the saving still adds up for me. My trick? My handy cheap (less than $10) coffee grinder. I do not use this coffee grinder to grind coffee. (Trust me. No one wants quinoa flavored coffee!) It is only for grinding dried coconut (you can make your own coconut flour, too! ), flax seed, herbs, spices, and gluten free flours. After grinding herbs or spices in my coffee grinder, I wipe it out as well as I can, then pulse a couple of tablespoons of uncooked rice. After dumping out the rice (you can put this into your compost pile if you have one), wipe the grinder out again. This helps clean out the grinder, making sure the herb flavors do not transfer to whatever you would like to grind next. Of course, a coffee grinder does not produce a lot of flour at a time, but if you only need a half of a cup or a cup of a specialty gluten free whole grain flour, it does the trick. 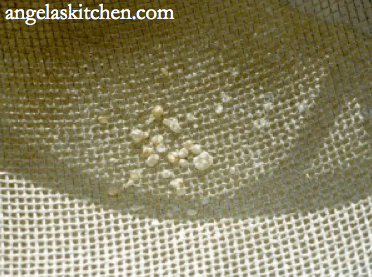 To get a finely ground flour with no grit, which is my preference, I often grind the grain for about 3 minutes, then sift it through a very fine sifter. 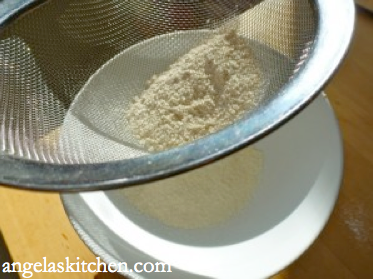 After the gluten free flour is sifted out, regrind the coarser bits, sifting out again as needed until you have the desired amount of finely ground gluten free four of your choice. I have thought long and hard about buying a grain mill. I do bake a LOT and would love to own a big heavy-duty, high-quality grain mill. But until my budget agrees with my grain mill desire, using an inexpensive coffee grinder is a wonderful way to start exploring the world of gluten free whole grains by adding a bit to your preferred gluten free flour blend. I think after going gluten free, it is easy to focus on what we can no longer have. I prefer to focus on all the things I can eat instead. 🙂 It is important to remember that you can still eat whole grains even while gluten free. In fact, as you can see on the list below, there are a large number of gluten free whole grains to choose from. If you need more information of the below grains, click on the grain name and it will bring you to a post telling a little about the grain with cooking times or a post with recipes to help you explore the tastes of these great grains. Enjoy! 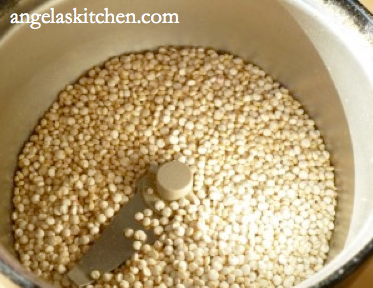 Amaranth – There are a wide variety of ways to enjoy amaranth, the most popular being boiling; however toasting is also common in some parts of the world. 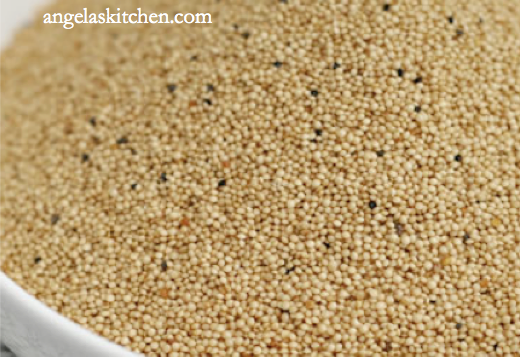 If you would like to try amaranth in a favorite recipe, it works well to replace millet, quinoa or buckwheat groats. I use amaranth in my family’s favorite gluten free pizza crust, and in the flour blend for Gluten Free Sesame Sandwich Bread. Brown Rice – Rice is one of the most commonly known gluten free grains. Rice is a staple grain for more than half of the world’s population. I prefer to use pre-soaked or pre-spouted brown rice whenever I can. Buckwheat – Because of its name, many people think buckwheat contains gluten or that it is related to wheat. That couldn’t be further from the truth! Though I am counting buckwheat as a gluten free whole grain, it really isn’t part of the cereal grasses family; it is considered a pseudocereal (along with amaranth and quinoa). Buckwheat is related to sorrels, knotweeds and rhubarb. Millet – Although millet is most often associated as the main ingredient in bird seed, it is not just “for the birds.” Creamy like mashed potatoes or fluffy like rice, millet is a delicious grain that can accompany many types of food. Quinoa – Although not a common item in most kitchens today, quinoa is an amino acid-rich (protein) seed that has a fluffy, creamy, slightly crunchy texture and a somewhat nutty flavor when cooked. Sorghum – Is fairly neutral in flavor, and sometimes slightly sweet. This makes it well adapted to a variety of dishes, because, like tofu, sorghum absorbs flavors well. It can also be eaten plain. 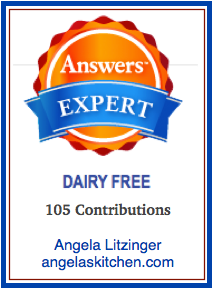 **So, what about oats? Many studies indicate that the protein found in oats may not be harmful to most people with celiac disease. However, the big concern is that most oats available are highly contaminated with wheat and other gluten containing grains during milling and processing. Please consult your physician or dietitian before adding oats to your diet. If you do use oats, remember to only use certified gluten free oats. Need a handy chart on how to cook gluten free whole grains? I’ve got one for you! Enjoy!